As a young student, Alexandra balked at her teachers’ expectations to conform to rigid educational norms. As a teacher and head of early childhood at Redlands school in Sydney, she has a mission to promote her students’ creativity and individuality. She made a DVD on student well-being that has been used as a teaching tool at her school and beyond. 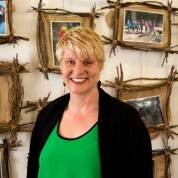 She has sought to broaden her students’ understanding of others by consciously promoting the rights of indigenous Australians and engaging Aboriginal elders to come and work in her school. She also developed a Kindergarten Bush School Program, taking her pupils into the bush to learn from park rangers about wildlife and the environment. Alexandra has taught undergraduate courses in education, spoken at numerous international conferences and contributed to many academic publications within her field. She received the Premier’s University of Wollongong Early Childhood Scholarship and was selected as an innovative teacher to provide case material for the National Project on Quality Teaching and Learning.